The Canon, Examined: Billy Joel – "The Stranger"
Billy Joel played the last concert ever at Shea Stadium a few weeks ago. It must’ve been humbling, even for a guy who’s sold enough albums to occupy a spot in half the record collections in America. You see, Joel is a Beatles fan. A big one. The Beatles played the first concert ever at Shea in 1965, performing to 55,000 screaming, crying, jumping fans. When Paul McCartney himself joined Joel on that recent Friday, the significance of the event couldn’t have been lost on him. But I have to wonder if it made him happy. A few years ago, Chuck Klosterman wrote a tender, sympathetic profile of Joel for the New York Times Magazine. It portrayed the musician as the protagonist of his most famous album, The Stranger — a rocker never accepted by the rock ‘n’ roll establishment; a sensitive balladeer who’s been unlucky in love. Klosterman painted Joel in sad, lonely shades of grey, hardly the bright colors of Joel’s best music. The Stranger, recently reissued in a two-disc package that adds an electrifying 1977 Carnegie Hall gig to the set, is Joel’s best music. It was his commercial breakthrough, but it was also his first artistic peak: a complete album, free from empty hooks or slides into maudlin Broadway odes. You remember every moment of The Stranger; the lonely whistle that introduces the title track; the Jersey regret in the chorus of “Only The Good Die Young.” “Just the Way You Are” could’ve been a Dylanesque sneer, but instead it embraces the comfort of everyday love: “I just want someone I can talk to,” he sings sweetly, the underlying desperation of the line retrospectively colored by Joel’s romantic failures. This is Joel’s gift, the ability to hint at greys and blues in even the sunniest canvas. The Stranger a bright, polished pop album, to be sure, but a walk in his shiniest shoes isn’t an easy one. But he never lets his angst bleed through to the surface, a likely requirement for critics caught up in the vicious swirl of the birth of punk. There’s much to be said for songs such as “She’s Always a Woman,” songs blanketed in flutes and plucked acoustic guitars that romp through pastoral fields and smile through internal wounds. Pulling pins through ears hardly compares. 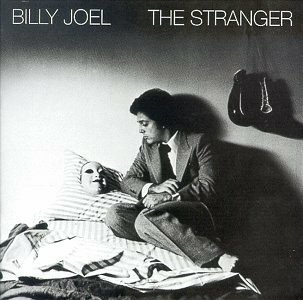 That’s the feeling of much of Joel’s early, hungry work, but in The Stranger especially that makes it the rarest of pop masterpieces, the kind where everybody sings along but everybody hurts.